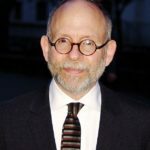 Robert Elmer Balaban is an American actor, author, producer, and director. He was one of the producers nominated for the Academy Award for Best Picture for Gosford Park (2001), in which he also appeared. "My dad was the baby. When he was born they were already successful. They sent him to business school – he probably would have loved to have been a poet or a writer or something, and he was very creative." "My dad was born in Chicago in 1908… his parents came from Russia. They settled in Chicago, where they lived in a little tiny grocery store with eight or nine children – in the backroom all together – and my grandmother got the idea to go into the movie business." "I mean, the whole idea of movies was it was special to go to see – you went to a movie theater to see something that was magical and amazing, in a very special location."